Pep Guardiola never liked the term Tiki Taka. The Catalan coach led Barcelona to 14 out of a possible 19 titles between 2008 and 2012 with a football philosophy that defined an era and also sewed the seeds for their success under Luis Enrique – even though the style is very different these days. They were not. 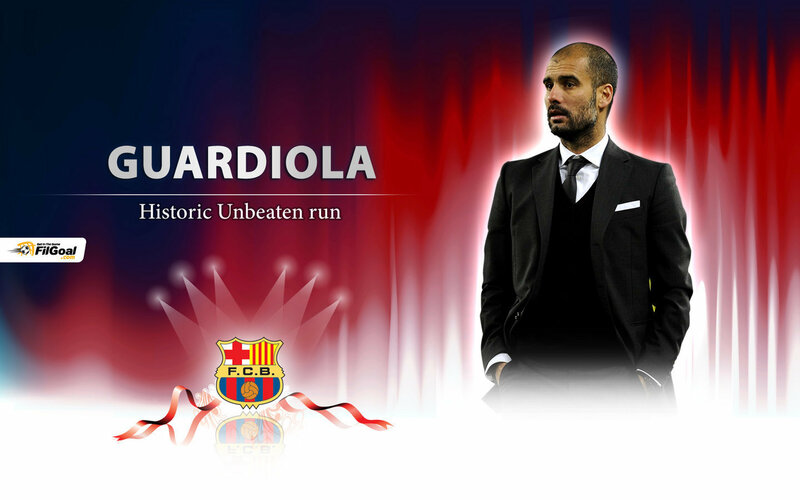 The rival was always respected and studied meticulously during Pep’s reign – and then brutally beaten more often than not. Barca began the Guardiola era slowly in La Liga with a 1-0 loss at Numancia and 1-1 draw at home to Racing Santander, but then everything clicked. 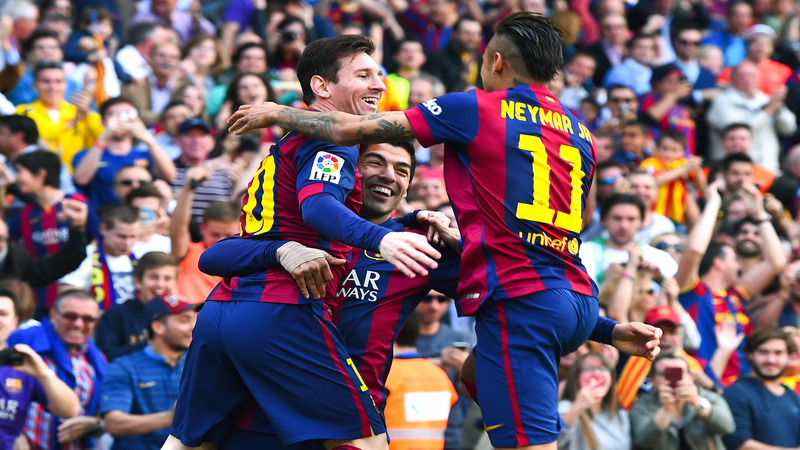 At Sporting Gijon in their third Primera Division match, the Catalans won 6-1. They never looked back, going on to claim league, Copa del Rey and Champions League titles in that first season. The philosophy was clear. Victor Valdes played in goal but notably further forward than under predecessor Frank Rijkaard, operating as a modern sweeper-keeper to support his defence and their high line. Ahead of him, Carles Puyol was the defensive lynchpin, with either Gerard Pique or Rafa Marquez alongside him to bring the ball out from the back. On the right, meanwhile, new signing Dani Alves was given freedom to roam forward almost as an unorthodox winger. In midfield, Xavi and Andres Iniesta were at the heart of a possession ploy (along with Sergio Busquets in his first season with the senior team) which saw Barca regularly keep the ball for up to 70 per cent of the time, or even more, and create chances aplenty for a fantastic forward line made up of Thierry Henry (who started on the left), Samuel Eto’o (the central striker) and Lionel Messi (on the right). There were changes in personnel after that, although the style remained largely the same. Eto’o departed, then Henry, while Pedro emerged, Zlatan Ibrahimovic came in for a season and later David Villa as well. But the biggest difference of all saw Messi move to a central role. The Argentine had masterminded the Catalans’ 6-2 win at Real Madrid in 2009 by switching positions with Eto’o and moving inside as Guardiola noticed a huge space between the rivals’ defence and midfield. That meant Villa was forced to operate from a somewhat unfamiliar role out on the left in 2010-11, but it worked wonderfully as Barca won La Liga and the Champions Legue again, missing out on another treble by one game as they lost to Madrid in the Copa del Rey final. Key to Barca’s success in that time was not only passing, however, but a pressing plan which saw the Blaugrana regaining the ball almost as soon as they had lost it. But rival teams were setting up to defend in numbers and Barca were frustrated at times during Guardiola’s final season at the club in 2011-12. In it, Barca became a little more direct and the signing of Alexis Sanchez – along with the introduction of wingers Isaac Cuenca and Cristian Tello – meant Barca could attack from deep with pace. That change continued under Tito Vilanova, although the philosophy was basically the same. Barca won the 2012-13 title with a record 100 points, but Tito took time out for cancer treatment and the team lacked leadership later in the campaign, which ended in chaos with a 7-0 aggregate loss to Bayern Munich. With Messi unfit in the first match and absent in the second, Barca had been picked apart by a more modern brand of football and the defender believed they needed to adapt their celebrated system. Neymar was signed from Santos and Martino attempted to tweak the style while staying true to an attacking game in 2013-14, but the Argentine coach was hugely criticised when Barca beat Rayo Vallecano 4-0 away from home, only for the Blaugrana to lose the possession battle for the first time in 317 games (dating back to the end of the Rijkaard reign). Martino also experimented with a double pivot including Alex Song (who never suited Barca’s style) and went on to lose the important matches as Barca missed out on La Liga, the Copa del Rey and the Champions League. Under Tata, there was plenty of passing, but the pressing that had made the team so successful had gone and the players complained privately of a lack of intensity. That intensity returned under Luis Enrique. 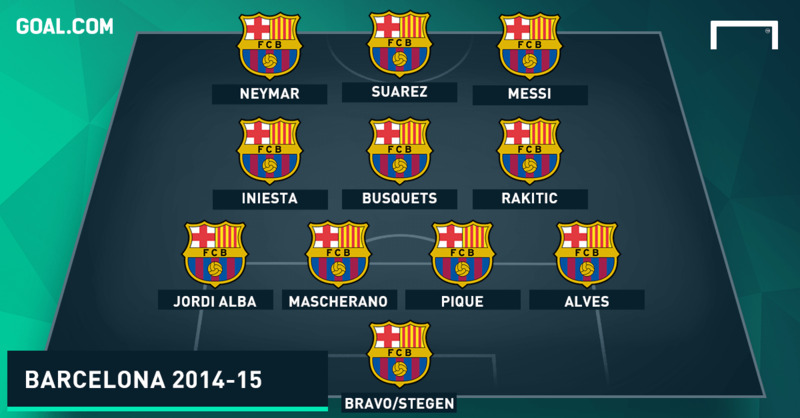 In came Luis Suarez and Ivan Rakitic, but Barca struggled somewhat at the start of the 2014-15 season. Suarez was banned for the first two months of the campaign and Messi operated in a deeper role as a playmaker. The Argentine rescued his team on a number of occasions, but Barca were scoring fewer goals and appeared to be caught between two styles. Luis Enrique also did not seem sure of what he wanted, picking the more intense Rakitic for some games and bringing in the veteran Xavi for others. But after a disappointig defeat at Real Sociedad in which he had controversially left Messi on the bench, the team was unified and the Asturian coach made his mind up once and for all. Xavi was left on the bench, with Rakitic on the right of midfield to support Messi, who had returned to a wide role with Suarez in the centre. Results picked up and in that second half of the season, Barca never looked back. Between them, that trio of attackers scored 122 goals as Barca became the first team to win a second treble, winning La Liga, Copa and the Champions League, brushing aside Pep’s Bayern in the semi-finals after an emphatic 3-0 victory at Camp Nou. This term, Barca have already added the Uefa Super Cup and despite a somewhat shaky start in La Liga and losing the Spanish Supercopa to Athletic Bilbao, Luis Enrique will hope to add more titles to the trophy cabinet in 2015-16. Xavi has departed, with Arda Turan now at the club (although unable to feature until January) in as his replacement. Pedro has also left, but the style looks set to remain essentially the same as the one that worked so well in 2014-15. Indeed. The football may be less pure than it was during Guardiola’s great era, but even the best need to evolve. 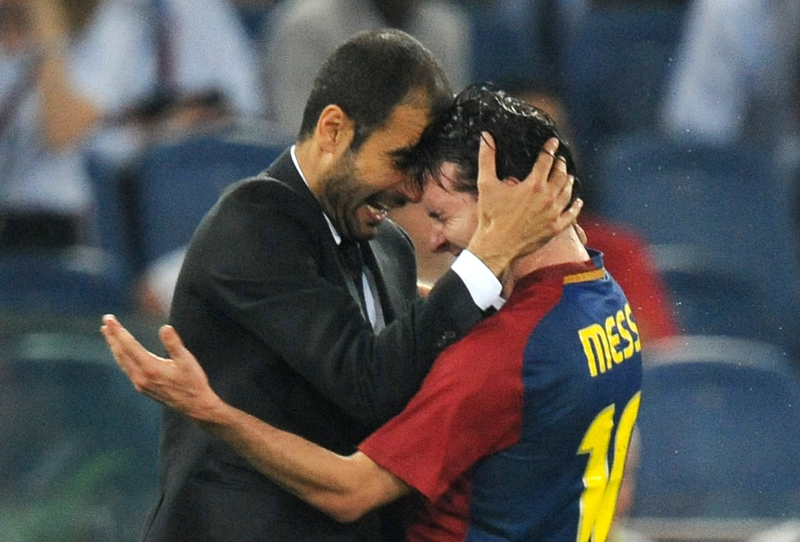 Tiki Taka – or whatever Pep would call it – is very different at Barca these days. The trophies, however, continue to arrive.